Bath time with a baby is not just about getting clean, it is about caring for their delicate skin, having fun and building bonds of love. This bath bag is a robe for a baby but with none of the hard to handle issues found in traditional tie or wrap style robes. Our bath bag keeps the baby warm and comfortable because It is pure cotton velour terry, smooth on the outside and looped cotton on the inside.....absorbent and super soft to baby's delicate skin. 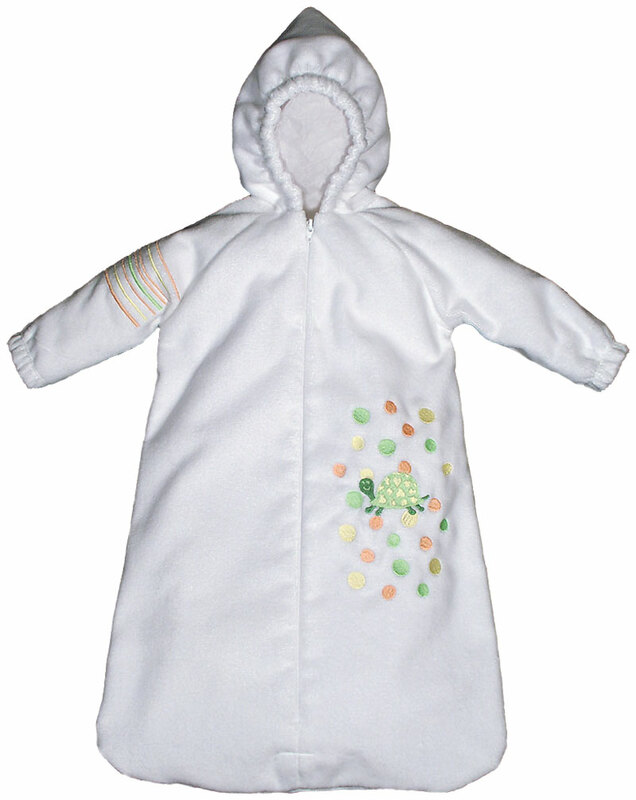 With a closed bottom, long sleeves and a elastic closed hood, any wet baby will stay warm, dry and very cozy inside their delightful cotton bath bag. 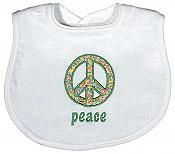 Now, Mom doesn't have to rush around looking for the next change of clothes or expose a wet baby to cold drafts of outside air. 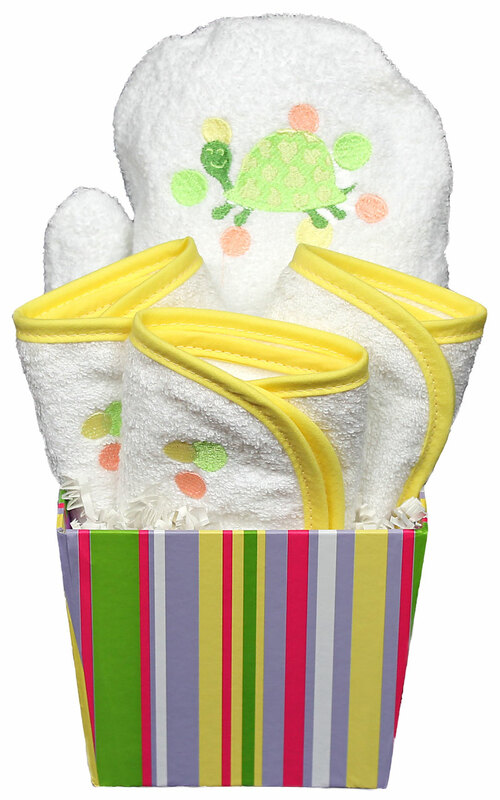 Our baby bath bag also matches a hooded towel gift set and a bath mit gift set. 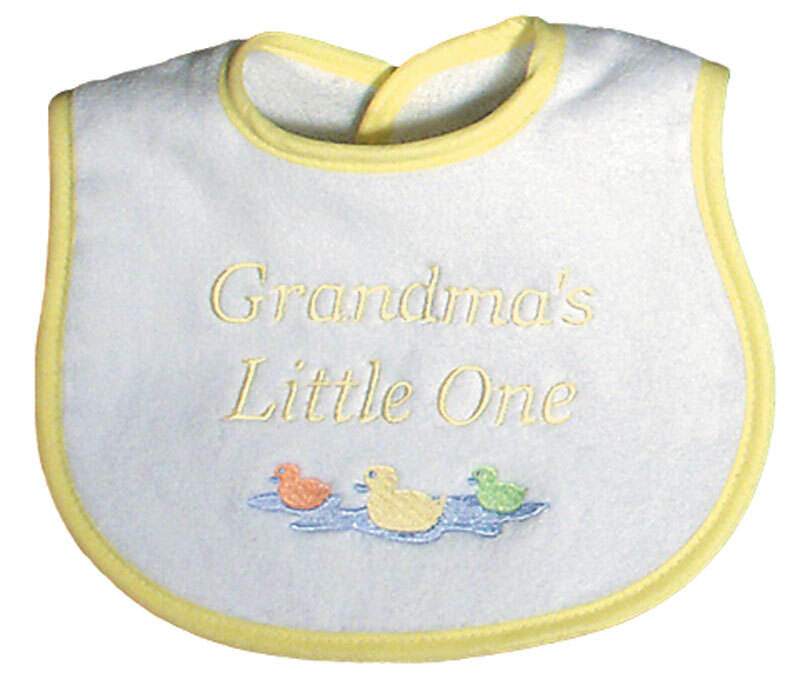 This embroidered yellow turtle style is unisex and the pink duck style is for girls, but it is available in a blue whale version for boys, as well.